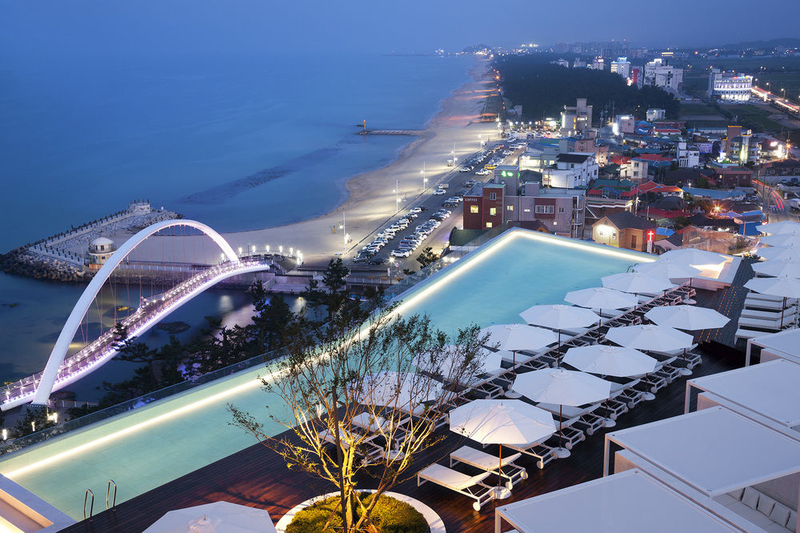 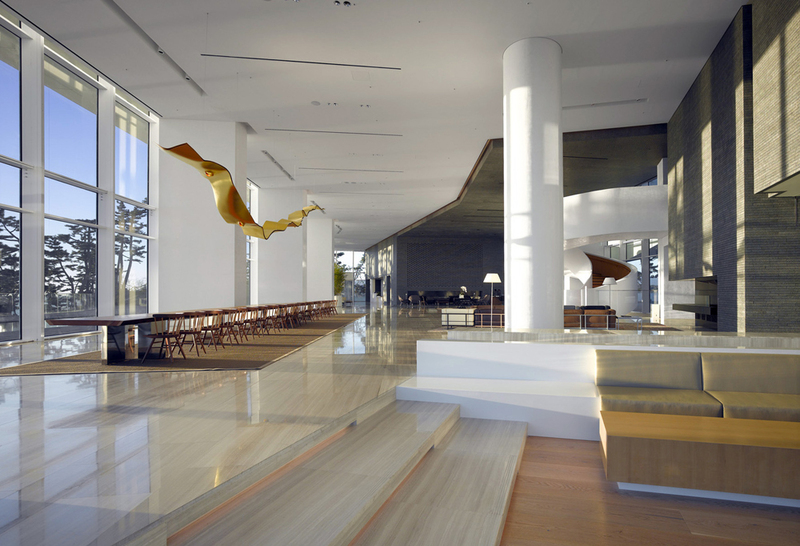 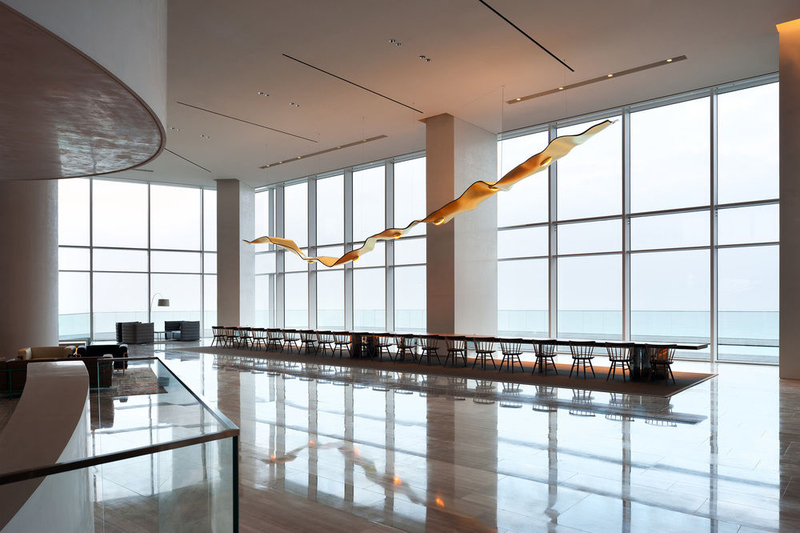 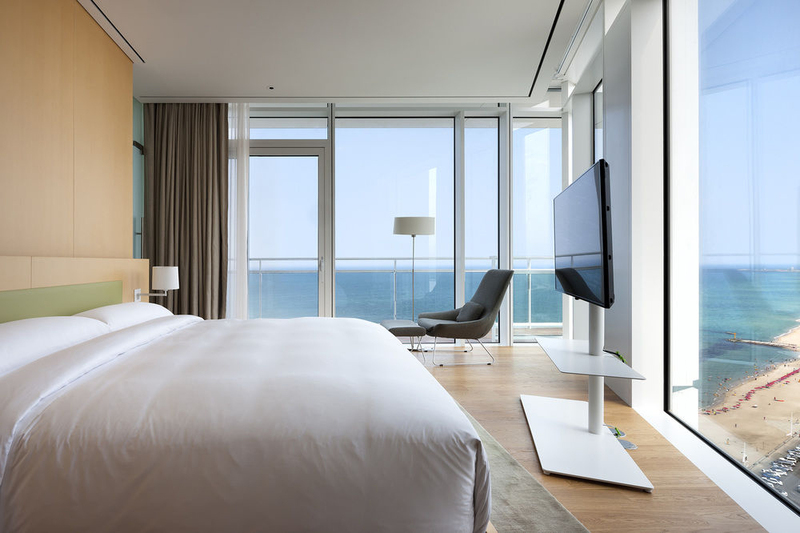 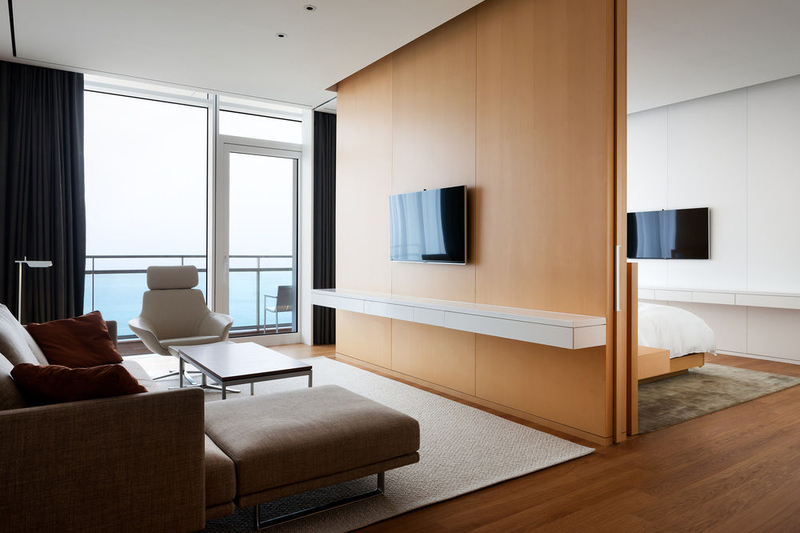 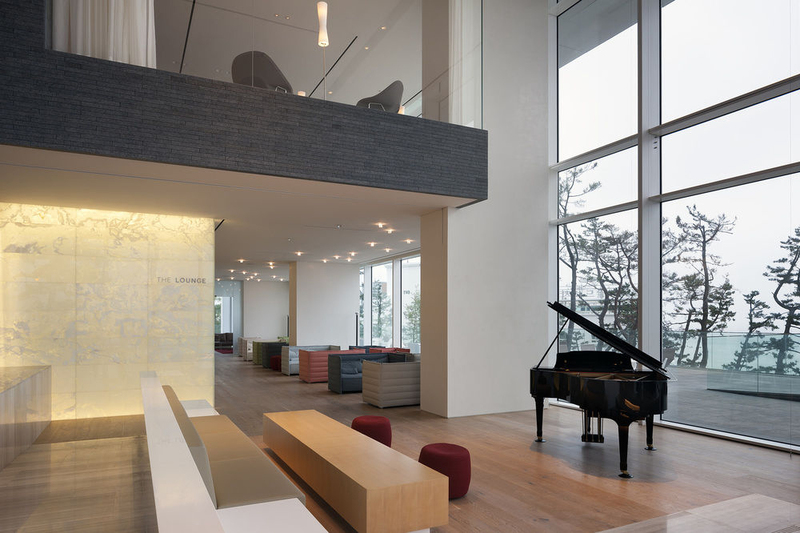 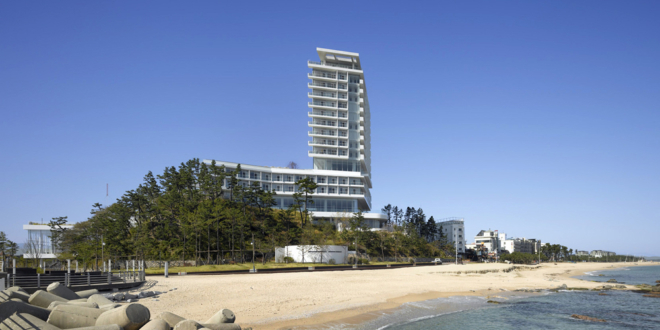 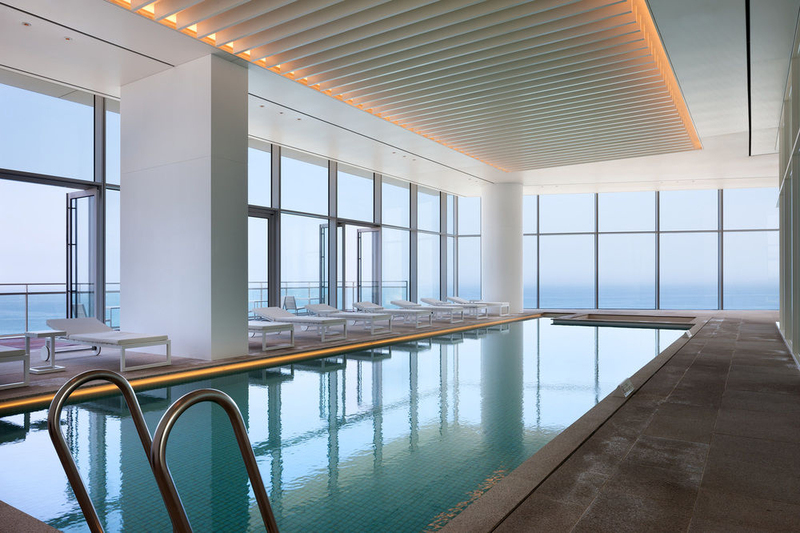 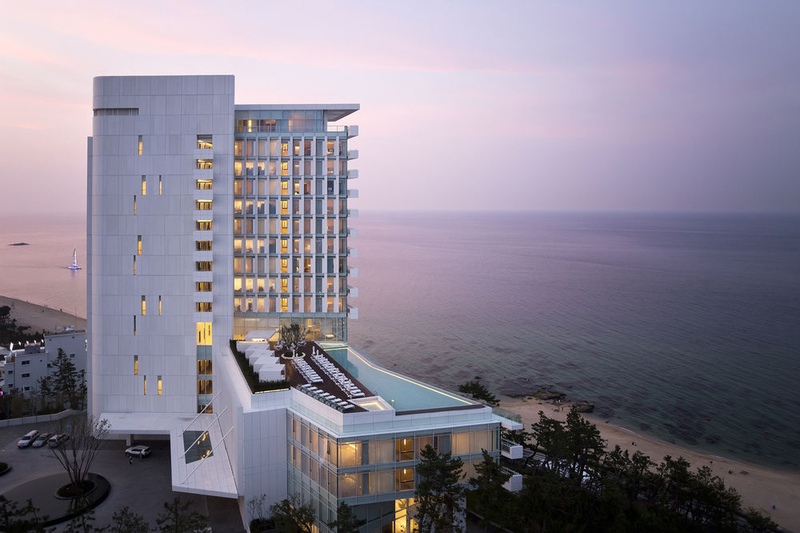 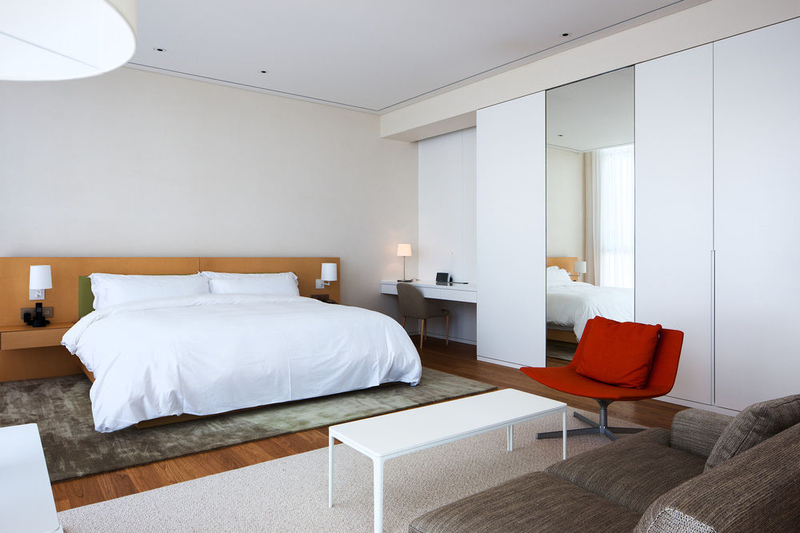 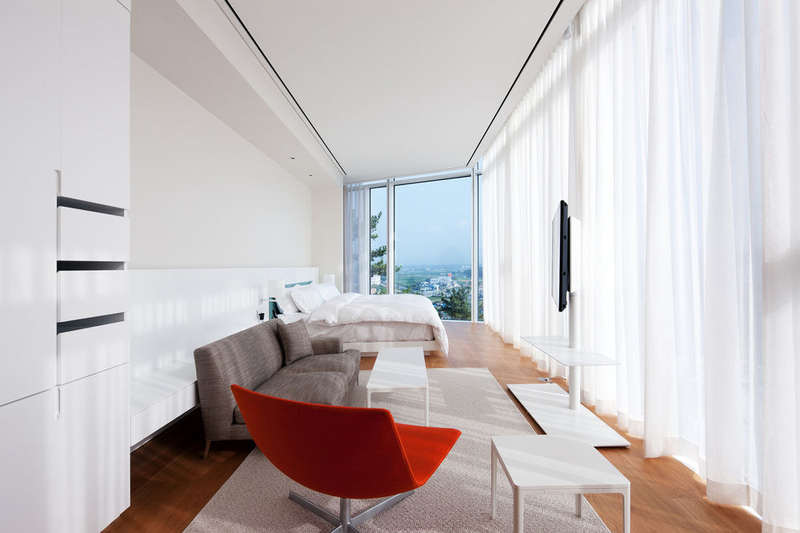 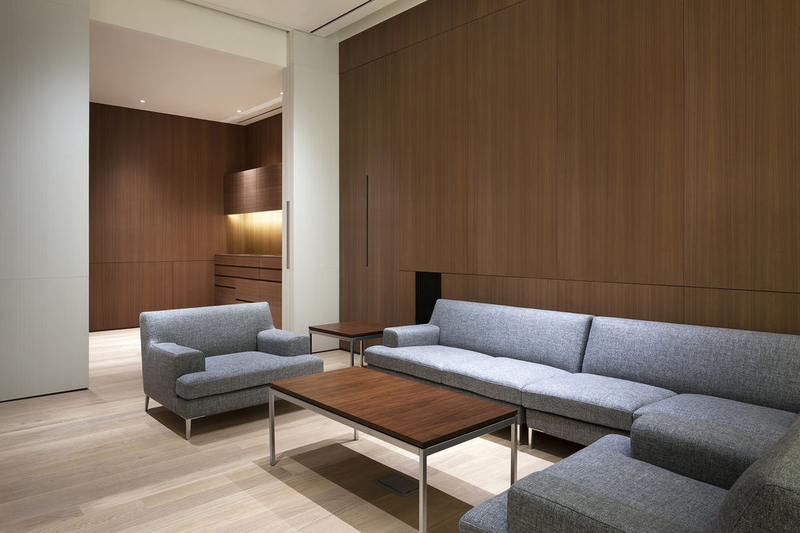 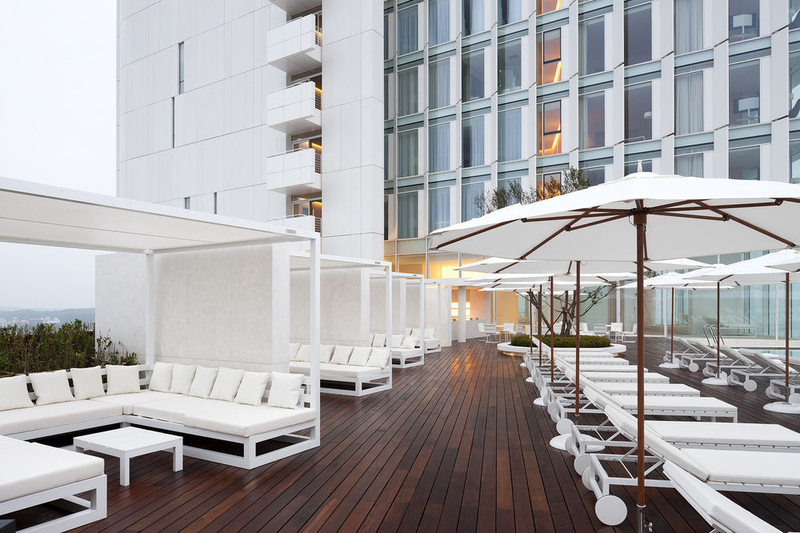 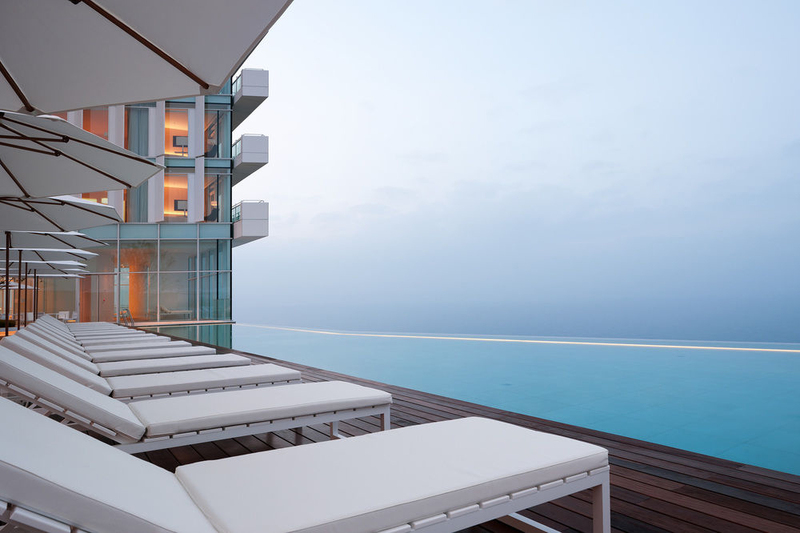 Richard Meier and partners has completed The Seamarq Hotel in South Korea, owned by a Hyundai Heavy Industries. 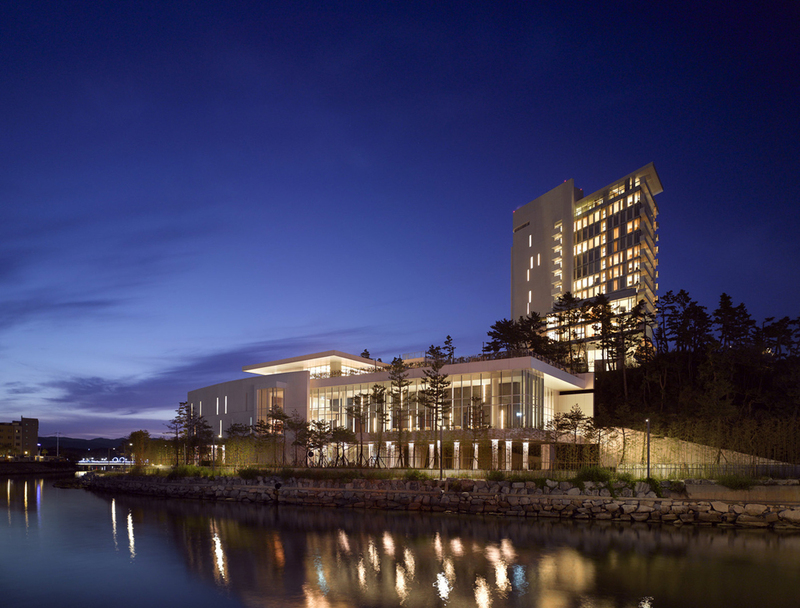 The project is composed of two main buildings: the 11-storey Hotel Tower and the four storey Banquet Hall, with supporting facilities nestled into a hill of dense pine trees overlooking the east sea, gyeongpo lake, and the mountains. 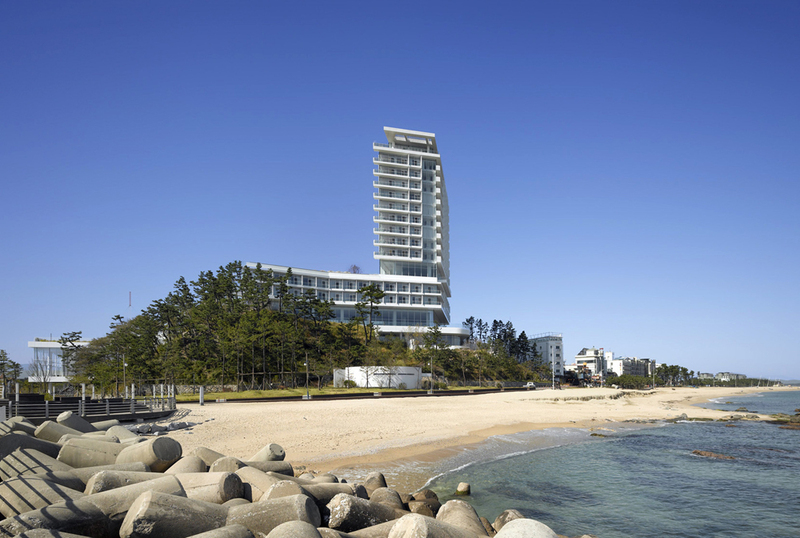 The buildings are mostly made of glass, concrete and stone. 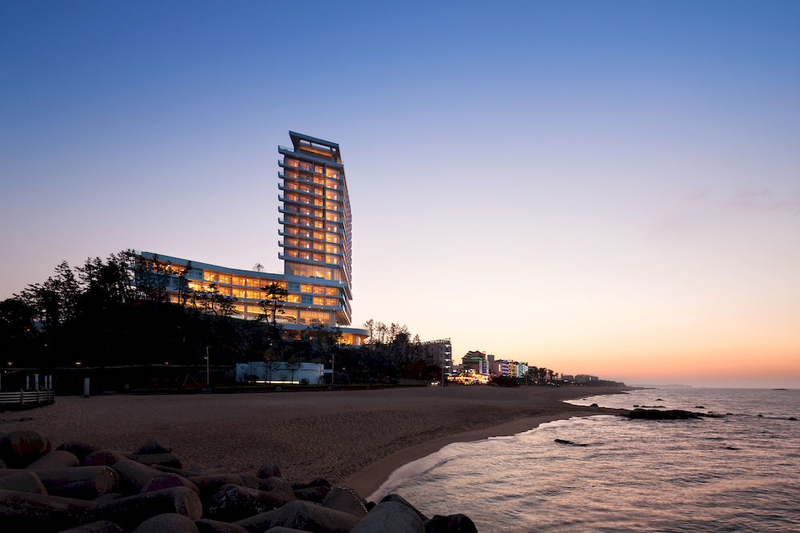 The building’s changing silhouette is perceived differently from various points as floating balconies, articulated planes, varying heights. 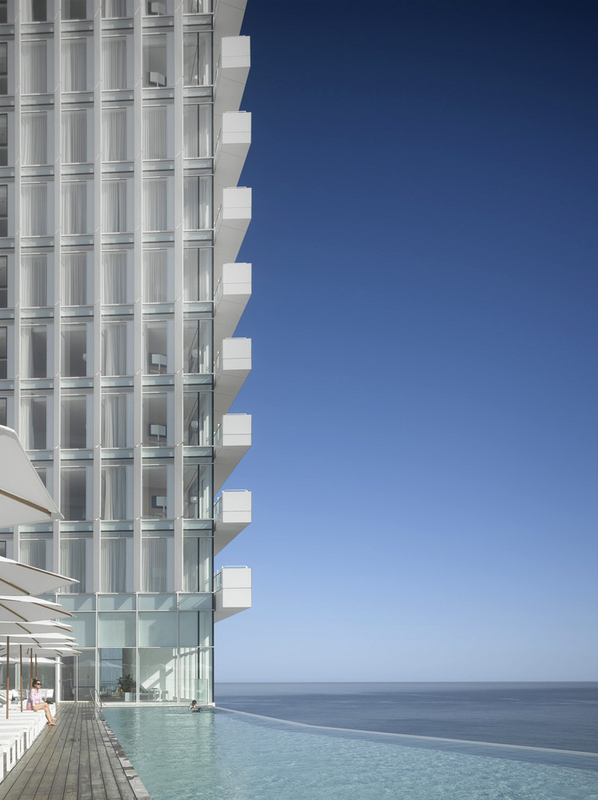 The exposed façade of the core is expressed with an irregular pattern that creates movement and balance. 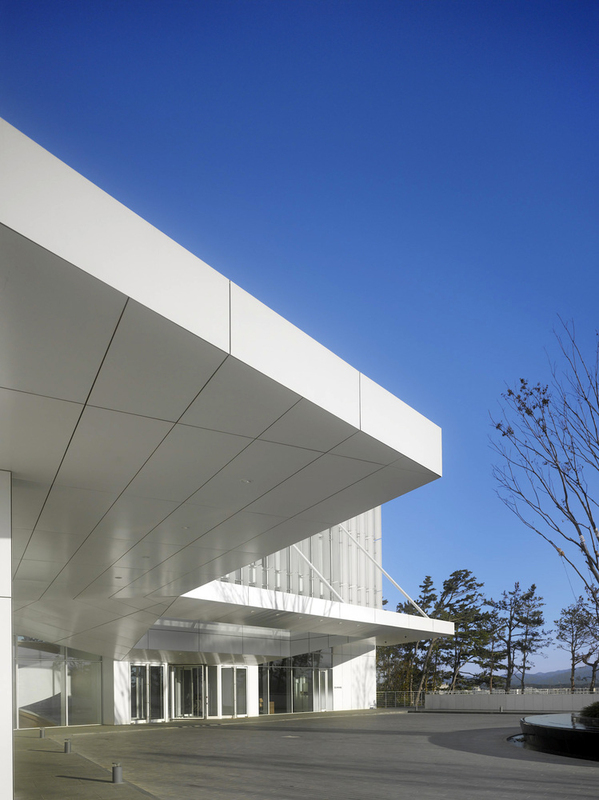 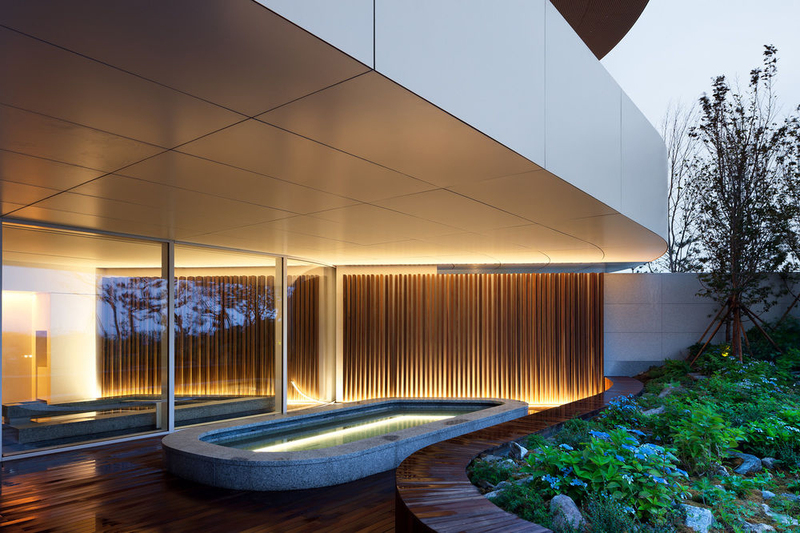 The forms expressed in a light and white color palette will make the building transform throughout the day in the interplay of light and the surrounding context. 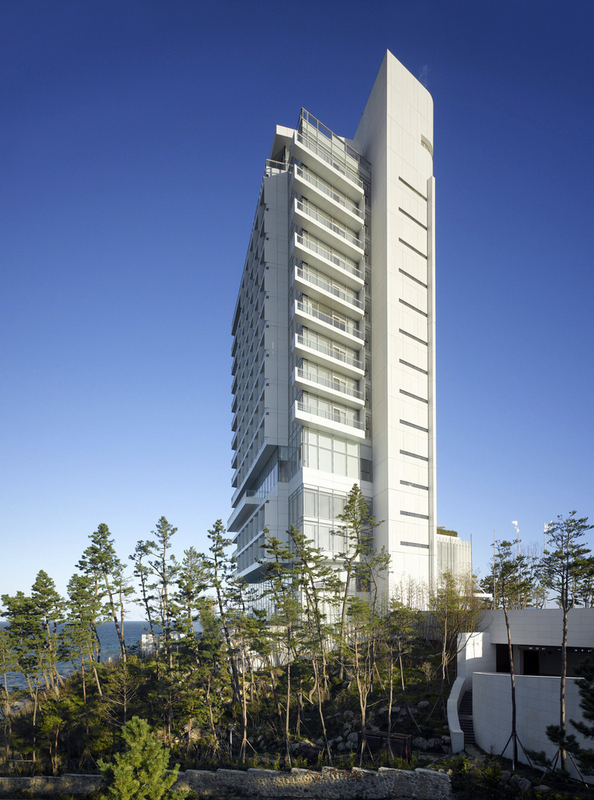 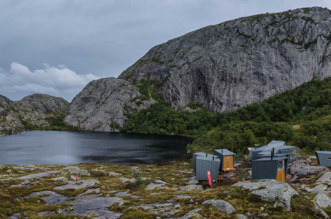 The geometric form of The Seamarq Hotel follows the soft shape and contours of the hill and have 150 guestrooms. 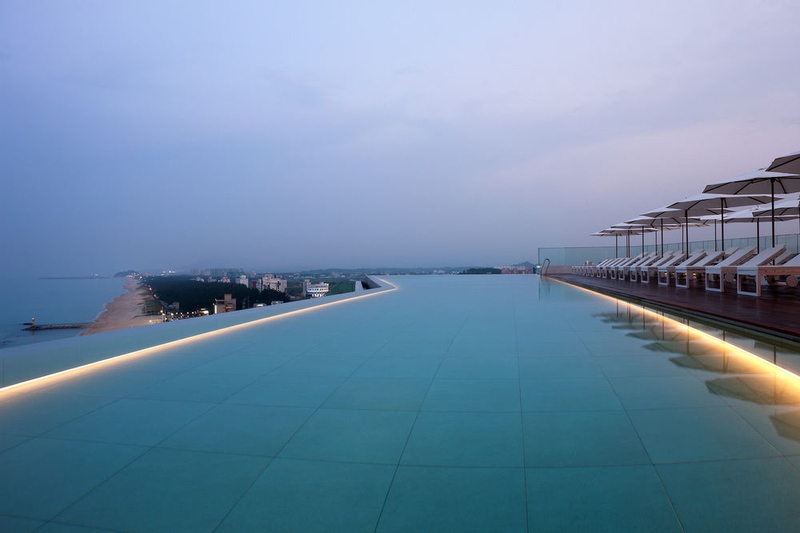 The hotel has a restaurant, a spa, indoor and outdoor swimming pools, a banquet room, an exhibition hall and an amphitheatre. 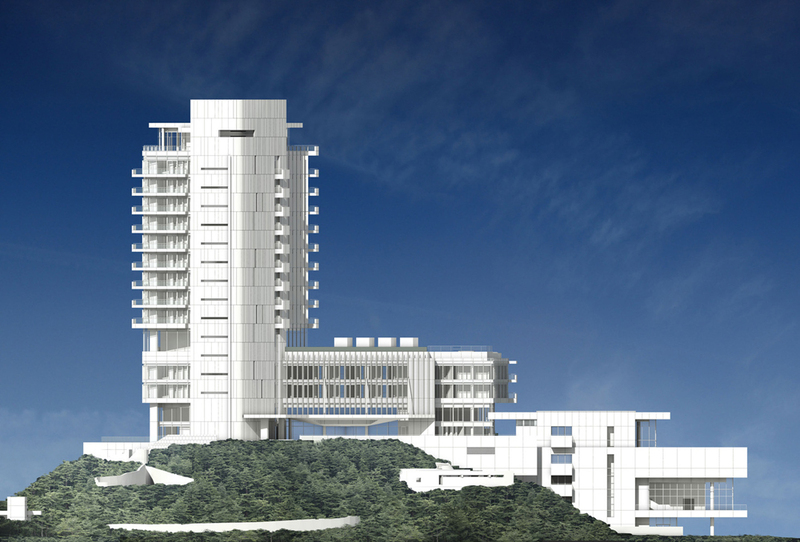 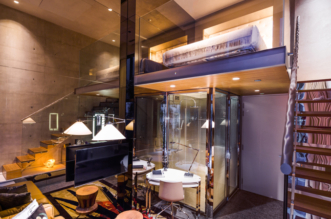 Also there is a two-storey lobby with a wraparound deck The presidential suite occupies the entire top level and comes complete with three roof terraces, two bedrooms, a kitchen, a dining area, and a living area with a fireplace. 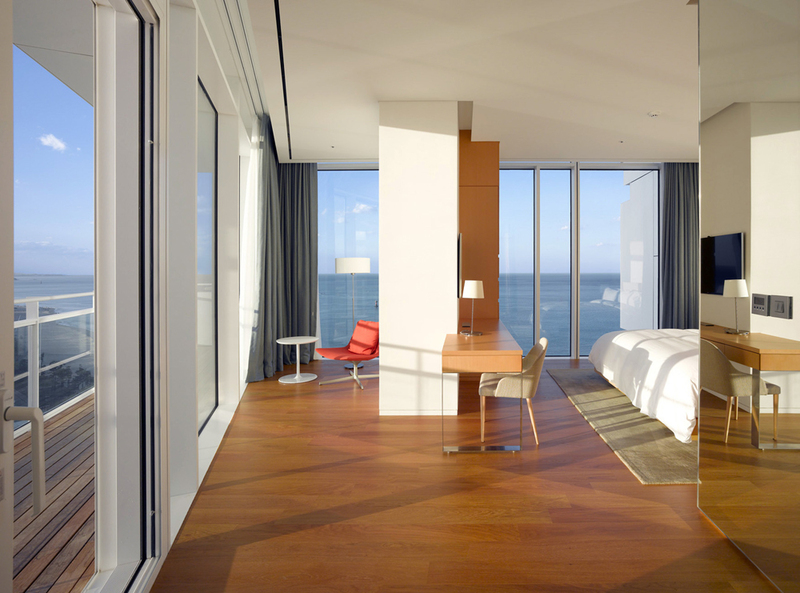 The fifth floor includes a generous outdoor deck and panoramic views of the ocean. 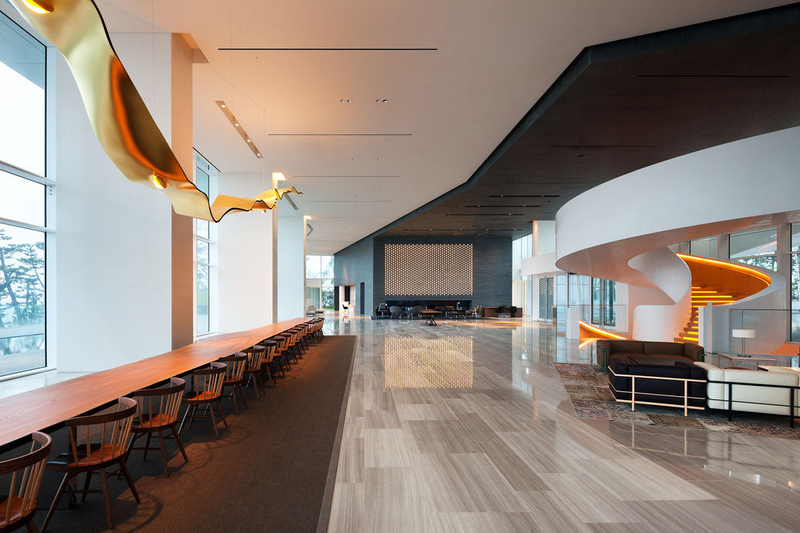 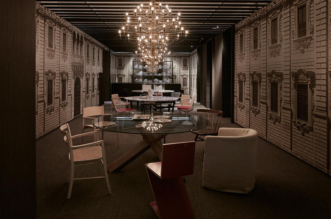 “The unifying strategy for the whole project is the consistent concern with natural light, and the establishment of connections between the hotel, the banquet hall and the rest of the complex. 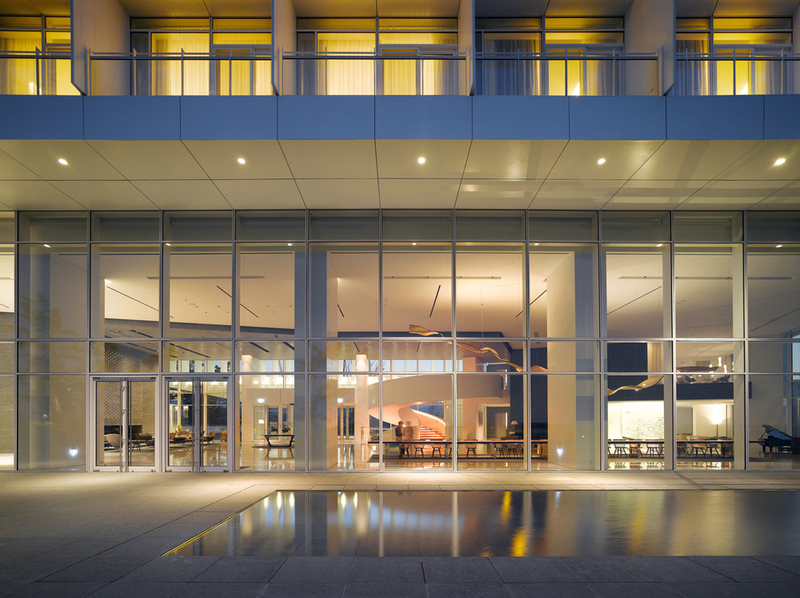 We are proud that we were able to design every aspect of this project beginning with the entrance sequence, the landscape, and the details of the interiors” – Richard Meier says.